You are here: Home / Headlines / Drug Discovery / How are mRNA vaccines changing drug discovery? They provide a realistic and practical approach for personalized medicine. A major step forward was done by BioNTech with the first successful mRNA vaccine against skin cancers (Nature, June 2016, doi: 10.1038/nature18300). They delivered mRNA coding for specific cancer cells proteins to antigen presenting cells (APCs) in lymphoid organs to trigger a specific immune response of the patient body toward the cancer cells. Last year, they went further with the concept of individualized mutanome vaccines, that are RNA-based treatments to drive immunity against a spectrum of cancer mutations (doi: 10.1038/nature23003). From a practical point of view, it was also not easy to produce proper mRNA and required a pretty high level of expertise. That’s why DNA-based and protein-based therapeutics were so much more popular. Protection of the mRNA depends notably on the capping structure in 5′. The ARCA method is classic and popular. It provides a CAP0 structure that is a pretty good protection. Nevertheless, the capping efficiency is only around 60-70%. TriLink has developed modified mRNA with another type of reagents called CleanCap. The capping efficiency is far better >90%. The structure is the CAP1. It corresponds to the natural structure we can find in the cells. The translation is also improved providing more protein and so more function. The standard to obtain a high reduction of the immunogenicity of the mRNA is to perform HPLC purification. Unfortunately, it requires quite a lot of volume and it is costly. Several nucleotide substitutions such as the famous PseudoU and 5mC allow cell immune response reduction with HPLC purification. TriLink offers a license-free 5moU modification that has been shown to be as efficient as HPLC purification. And actually, adding HPLC purification to the 5moU modified mRNA doesn’t further reduce the immune response of the cells. Thus, the 5moU modified mRNA is better accepted by the cells, not promptly degraded, and provides more protein as illustrated below with eGFP mRNA. To monitor the innate immune response from blood (plasma, serum) or cell culture supernatant, a high sensitivity multiplex-ELISA would be an approach. 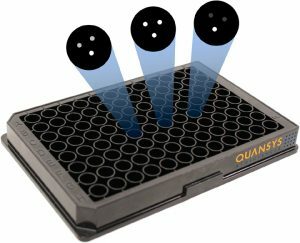 To ensure the more sensitive and reproducible analysis I would recommend the Quansys technology for the quantification of IL-1alpha (1.5pg/ml), IL-1beta (1.7pg/ml), IL-6 (0.4pg/ml), IL-12p70 (3pg/ml), IL-16 (5pg/ml), TNFalpha (0.6pg/ml) and IFNgamma (0.1pg/ml). A complementary approach would be a type I interferon cell-based assay. For that, there is nothing better than the PBL technology iLite Human Type I Interferon Responsive Cells, as illustrate in the technical note. Delivery of the mRNA remains the main challenge. Today, solutions exist from naked RNA to mRNA complexes with cationic lipids, cholesterol and PEG-lipids. We also find lipid-based nanoparticles including the use of 1,2-Dioleoyl-sn-glycero-3-phosphoethanolamine (DOPE). Several biotech companies have developed their specialties and expertise for that particular drug delivery. And as a matter of fact, each project needs a dedicated answer. Thus, the best way to help research in this field is certainly to provide ready-to-use control mRNA such as eGFP coding mRNA or Luciferase coding mRNA. TriLink provides codon optimization, based on U-depletion, to provide the best capped mRNA. 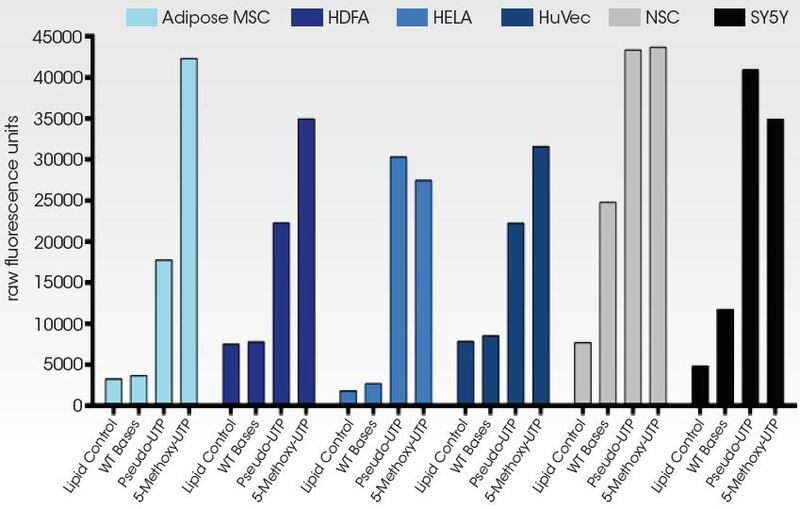 Taking into account the U-depletion, the CleanCap CAP1 structure, the UTRs and polyA tail optimization and even the 5moU modification, is what makes control mRNA the most reliable tools for delivery studies. Remarkably, it is far more reproducible and time saving than home-made batches with ARCA or enzymatic methods. So you can focus your activities on the development of the nanoparticles. Since mRNA production is not an easy and straight-forward task, our labs offer custom productions. 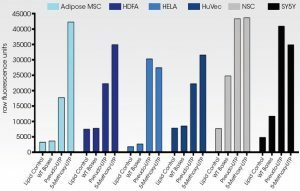 Custom mRNA benefits from the same optimizations as the CleanCap control mRNA, for the continuation of the drug delivery project to the coded protein of interest. These services provide an efficient, simple and easy source of robust mRNA with high yield, all for your peace of mind. It’s compatible with challenging projects such as those involving long mRNA up to 15k bases. From the perspective of clinical trials, researchers can keep the same manufacturing team and benefit from their GMP facilities. Let me know your comments, concerns and challenges through the comment form below, I’ll be pleased to assist you!